Thomas, David. 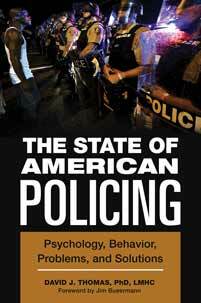 The State of American Policing: Psychology, Behavior, Problems, and Solutions. Praeger, 2018. ABC-CLIO, publisher.abc-clio.com/9781440860072.